Golly Gee-pers! Weekly — Golly Gee-pers! Despite your efforts, does your child have a cave-man like fist-grip on their spoon? If so, try this easy trick. When serving cereal, soup, ice-cream etc., replace the deep round bowl with a shallow one. Then place the spoon properly in your child's hand. You'll be surprised when they leave it there. The reason: It’s almost impossible to scoop inside a deep bowl while maintaining a proper hold on a utensil. Don’t believe me? Try it for yourself. As a bonus, your child won’t have to get on his or her knees to lean over the bowl either. Easy Peazy! For other ideas, games and activities to help teach manners see our main page. 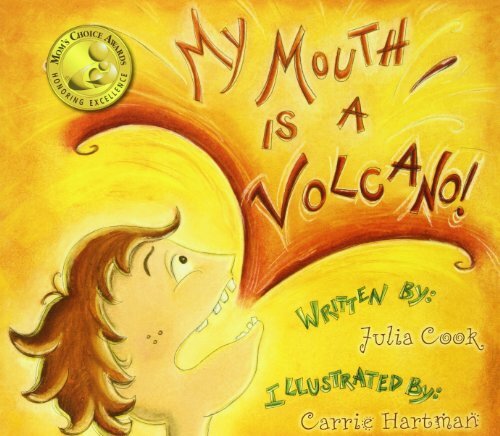 Looking for a children’s picture books that inspires good manners? As the founder of Golly Gee-pers, a company that develops resources that make teaching and learning social skills fun, I’ve done the hard work for you. 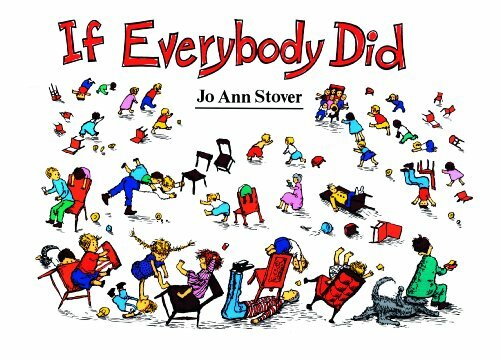 Below is a list of 5 terrific books for children (pre-school through elementary) that will entertain, stimulate dialogue and provide guidance along the way. Want your child to opt in to making polite choices without having to nag them? 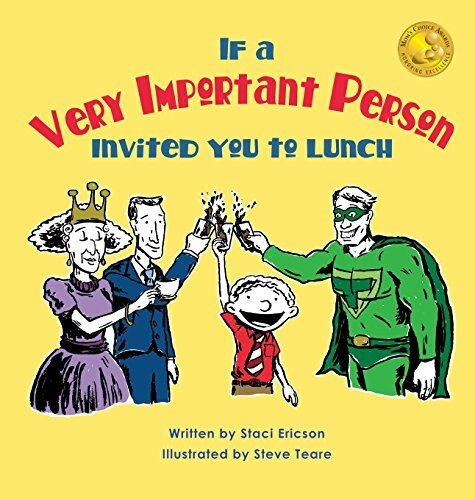 Give them a “what if “ scenario with this adorable story that follows one boy’s adventures into the world of dining with VIPs. Through simple rhyme and picture, children will explore their internal motivation to use good manners. Great for opening a dialogue or left to food for thought. If you have an interrupter or just want to encourage the art of polite conversation this is a good book for you. It’s told from the child’s perspective in lyrical language that kids can relate to. Children will empathize with little Louis’ struggle while gaining insight into managing their feelings. 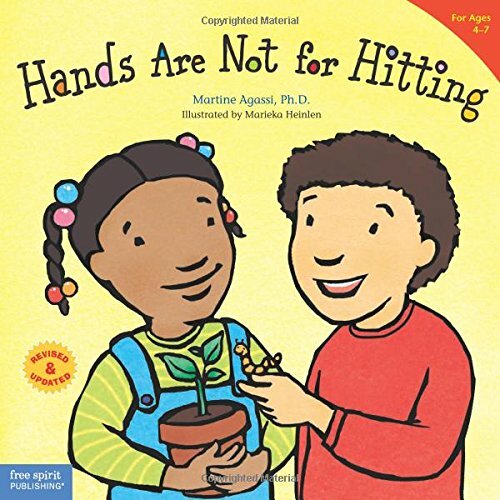 Written by behavioral therapist Martine Agassi, Ph.D., this book reads like a story while helping children to identify the physical sensations that accompany anger. As a result children learn to recognize their emotions before they become overwhelming. Also, there are engaging questions and activity suggestions at the end. 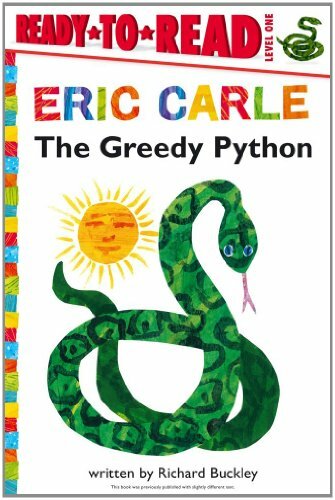 If you are dealing with a “mine, all mine” phase with your child, you and she will get a kick out of this story about Greedy Python who keeps eating everything up. Eventually, though greediness gets him into trouble when he ends up eating his own tale. Children will giggle their way through this humorous book and the next time the “mine all mine” beast shows up at your house you’ll have Greedy Python to help remind her to share. An oldie but goodie. Through poetic rhyme and humor this book examines the natural consequences of our sometimes less than stellar choices. Although intended for young children the message is equally applicable to all ages. Prince George and Princess Charlotte may have professional nannies to help their parents out, but never underestimate the power of a good book! September 21st is International Day of Peace. So, I'm re-posting this article because it is still as relevant as ever. It might sound ridiculous to some given the state of the world lately, but I believe there can be peace in our lives and in the world. Peace doesn't exist randomly, but is the result of practiced skill. How can we expect our future leaders to resolve conflicts with people and nations if they have not been taught to do it at the most primary level, at home? Families are the perfect training ground for peace. No one can offend as easily as family and arguments or standoffs are frequently the result. It doesn’t have to come to blows to be war. Just the motivation to undermine someone else is war because it keeps both individuals in a state of conflict. We may not be able to end war in a day but, what we can do is take this day to consciously practice peace with those closest to us. 1. Use Humor: When someone in our family is being unpleasant we often place a stuffed Grumpy doll (I found one in my daughters toy collection) in a spot they are sure to find. A Grinch figurine or even a picture will work just as well. 2. Show Concern: When people are out of sorts they usually save their release for family. We come home and seem rude or insensitive to the very people who love us the most. Instead of responding with criticism, try asking, “what’s going on” and then listen attentively. 3. Don’t fuel the fire: People tend to respond to others behavior with the same degree of force. So, when a teenager doesn’t get her way and spits out those words, “I hate living here,” and you spit back, “don't talk to me that way,” the teen has little conscious choice but to defend her position with even greater zeal. Before you know it, a little flame has been fanned into a bon fire. Try maintaining your calm. It’s extremely effective in defusing a situation. 4. No one wins when there’s a loser: Nothing creates a power struggle more quickly than fear of losing an argument. It doesn’t even matter what the topic is. If one person “wins” at the expense of the other, the “loser” is going to feel resentful. If we are willing, a compromise can always be made so that each person gets some of what he wants or needs. This is especially important for parents to model for their children as it will give them the tools for being successful in their own future relationships. 5. Stay on Topic: People tend to use past grievances to support their current argument, but instead of proving their point they simple create a whole new topic to argue. You may ask yourself, “why should I be the one to have to initiate peace? I’m not the problem.” Well, someone has to start. Someone has to lead. It doesn’t matter who “the problem” is. Each of us can choose to be the solution. As people experience peaceful resolution in their own lives they will be more likely to apply these to the outside world. Table Manners Cards wins a 2015 PRODUCT OF THE YEAR award! THE TOOLBOX PROJECT IS HERE!!! I almost fell off my chair, shouting, “finally!” when I came across this truly revolutionary program called Toolbox, that supports children K-6 in understanding and managing their own emotional, social and academic success. The program was created by Dovetail Learning, a non-profit organization (https://dovetaillearning.org/) that has partnered with Sandy Hook Promise and now Golly Gee-pers to promote social and emotional learning in an effort to help protect children. The first tool alone, taught to children, could work wonders in the classroom or on the playground; reducing anxieties, improving attention, dealing with fear; all the things that can get in the way of productive academic and social learning. Neuroscience backs this up folks. I’m sure many of us can relate to being asked to go to the front of the class to solve an equation on the blackboard and drawing a complete blank. Kids today are faced with a lot more challenging situations than that. Lest I hear grumbling, “What? Another thing we or our schools have to implement?!" Let me quickly add…., WHAT IF IT WILL MAKE YOUR CHILDREN’S LIFE, THEIR TEACHER’S LIFE AND YOUR LIFE A WHOLE LOT EASIER? Isn’t one of the main goals of parenting to have our children become ultimately independent? Usually we think of this in financial terms. We hear horror stories of children who are long into adulthood but who live at home and sponge off mom and dad but, what about social and emotional independence too? What does that even mean? Stop for a moment and think how often our emotional and physiological responses to life seem beyond us. We don’t choose them. They just happen. We react to life, or put another way, we think life causes us to react the way we do. This can make us feel like slaves to life’s unpredictable events. For example, when people cut us off in traffic it might cause us to momentarily lose control of our vocabulary. Sometimes it’s much more destructive. How can we get to a place where we make decision about how we respond to life’s situations rather than simply re-acting? Social Emotional Intelligence (the ability to recognize one's own and other people's emotions and respond with empathy, sharing and cooperation) is quickly being recognized in children as at least as important as cognitive ability when it comes to predicting adult success.1 And, we can teach this! Self-awareness, self-management, relationship skills, resilience, and responsible decision-making – that sounds like a better school, a better family, and a better community to me. I’m sure there are people out there who say, “My kid get’s these lessons at home. Why should the school have to teach them?” The answer is, maybe they do, but other children aren’t necessarily getting this at home and children unequipped to handle their own emotions, responsibilities or life’s challenges affect everyone else around them. Also, I think I’m a pretty good parent, but if teachers are willing and want to incorporate this into their program I am all for it! Hey, remember that manual we all got when we first became parents? Neither do I. Most of us go along, feeling our way in the dark. And teachers, wholly moley, the job they have these days; it’s exponential and not just for math teachers (a little joke there). I spent one year as a Girl Scout troop leader of 16 third graders. Let me tell you I gained a totally new perspective of the demands of “teaching.” So much time goes into behavior management even with the nicest of kids. I found myself putting out little fires here and there when all I really wanted to do was impart some Girl Scout wisdom and fun. It’s pretty clear that traditionally in homes and in schools children’s behavior has been managed externally. There are the rules, the consequences for not following them and some authority figure(s) to enforce them. Wouldn’t all of our jobs be a lot easier if we could teach children to be internally motivated to be responsible, to get along with others and check their emotions? This is not crazy talk, but to do it a very clear and simple, let me reiterate simple, system or tool if you will, would be needed and now it exists! Also, please share the Toolbox Project with friends, social media, and of course with your schools. Everyone knows that Nick Lachey is a multi-platinum recording artist, actor and television personality but, what you may not know is that he is also a children's advocate. In 2007 Nick founded The Nick Lachey Foundation, a 501c3 non-profit organization dedicated to helping children, families and communities in need throughout the United States. Off-stage and off-screen, Lachey remains a constant advocate for children’s and humanitarian causes through his work with the organization which drives much needed funds to a variety of charities across the country including: VH-1 Save The Music Foundation, Feeding America, Make-a-Wish Foundation, The Boys & Girls Club, Big Brothers Big Sisters, Juvenile Diabetes Research Foundation (JDRF), The Cincinnati Children’s Hospital as well as his Alma Mater, The Cincinnati School for Performing Arts. In 2013, Nick Lachey took a break from his television host duties to return to the studio — not to make a pop album but to cut A Father's Lullaby for Fisher-Price Records. How sweet! recently joined the list of celebrities to own a set of Table Manners Cards. We hope Nick and his family are having lots of fun playing the game and of course much success! In case you didn't see the recent Late Night with Blake Lively, it was hilarious! While carrying herself as one classy lady she dished up self-deprecating stories of dining out with the likes of Karl Lagerfeld, Anna Wintour and President Obama. In doing so, she made all of us feel comfortable and at ease. Who couldn't relate to those awkward moments all of us have felt when the invisible mother of decorum is suddenly hovering over our heads whispering, "you're doing it all wrong." Thanks for being real. You deserve a Golly Gee-pers thumbs-up. Grumpy is a member of our family. Yes he is. He has cute nicknames like cranky, grouchy, crabby, testy and a few more that are mumbled under the breath. Strangely enough lots of people who know us have never met him. That’s because he doesn’t socialize much. He just lies around our house. He doesn’t’ go to school, or to the store. He certainly doesn’t go to work. In fact, now that I think of it, he rarely goes out in public. Yep, he’s a homebody. It’s where he feels most comfortable. After all, the world out there might not understand him. They might not even like him. He definitely feels much safer at home. Is Grumpy a member of your family? If so, I have some very good friends who are about to help you out. They are Carl Fredrickson the loveable character from the movie Up; Tadar Sauce, that sour puss gone viral, Oscar the dumpster diving Muppet and Disney’s dwarf with the prickly personality, Grumpy. Simply print out their picture (or better yet buy a plush or doll version) and set it aside. Now, rub your hands together and with a, "moo ha haa" wait for someone in your family to feel cranky and take it out on others. When they do, bingo! Rather than engaging in their downer of negative feelings simply retrieve your Grump of choice and discreetly place him where he will be found by the cantankerous offender. Go ahead, you have permission to have fun with this. For best results, try to predict where your cranky person is likely to go in the near future (that spot on the couch they left to go get a snack, leaning against a bed pillow, on top of their electronic device etc.). No, you can't just hand Grumpy directly to him or her, as this might feel a wee bit confrontational. Just let him be found without a word. You can watch from around the corner and snicker discreetly as your person discovers their new friend. Chances are your grumpy family member will laugh at his or her reflection and relax a little and just maybe (one can always hope), apologize. After Carl or Tadar has done his job then mysteriously put him away until he is needed another day. We've used this method in our family for several years now and it really is effective! Not only will everyone have a good laugh but it's a great way to increase your family's EQ (emotional intelligence). How about revealing the magic of kindness with a letter from Elf Raffi or Fairy Poli.Imagine your child opening an egg and finding this tiny little envelope. Inside is a letter. The writing is so small you have to use a magnifying glass to read it. What a whimsical delight for children and adults alike! To create this experience for your child, go to our Freebies page. There you will find instructions to download the letter and envelope template. You can choose Fairy Poli for girls or Elf Raffi for boys. Have fun! Redirect hot-button topics this Thanksgiving with this simple and fun game. Hot-button topics; what family doesn’t have them? Often politics is at the top of the list. If you’re hosting Thanksgiving, here’s a fun game that will keep the peace by redirecting your group's hot button topics back to the family friendly. Fill a basket with fun riddles on pieces of folded paper. You can print family friendly riddles for free at www.gollygee-pers.com. Just go to the "freebies" tab. Or, depending on the ages of your guests you may want more sophisticated humor. Choose one hot-button topic that is likely to come up at your holiday gathering. As guests arrive let them know you will be playing a game called Please Pass the Riddles. The topic of politics (or whatever hot-button topic you choose) will be off limits for the day. If a person is caught bringing up the topic any person can say, "Please Pass the Riddles." The basket is then passed to the person who brought up the topic. This person will pull a riddle from the basket and read it aloud. As guests try to answer the riddle the conversation will be redirected away from the hot button topic and back toward fun. If playing this game at the table, have each person take turns trying to answer the riddle, before giving up the answer. In the end everyone wins, of course. Have fun and have a very Happy Thanksgiving from Golly Gee-pers! Want to stop your child from pouting? Then don't suppress it. Let him express it! Everyone wants to be heard and have their feelings matter and kids are no exception. With Golly Gee-pers pouting posters kids are encouraged to express their feelings through creativity. Have your child tell you why he or she is unhappy in a picture or a story. You'll be surprised at the healing effect. It might even result in a meaningful conversation instead of coal for Christmas. Table Manners Cards earns a gold award from Mom's Choice Awards! Golly Gee-pers is tremendously honored to have just received a gold award from the prestigious Mom’s Choice Awards organization for our game, Table Manners Cards ( http://gollygee-pers.com ) . It was deemed “among the best family friendly products” in the toys and games category. Thank you to MCA and the families who tested our product! Mom’s Choice Awards’ mission is to help families grow emotionally, physically and spiritually. If you are a parent or educator and would like more information about Mom’s Choice Awards, honored products or their magazine, Entro please go to www.momschoiceawards.com. Paul Minton from Wales won our limerick contest for being clever AND staying on topic. Congratulations! But it turned out it was all in his mine. Submit your limerick to win a prize and promote civility and kindness! In case you were not aware, Grandparents Day is September 9, 2012. I for one will be honoring this day. Although my "Grams" is gone now I was so fortunate to have had her in my life. I cannot over emphasize the important role she had in my personal development. In honor of Grandparent Day I would like to share just one of the ways in which she influenced me. That’s exactly what my grandmother did. My “Grams” had a way of looking at me that both nailed my behavior and said I love you at the same time. She didn’t even have to say a word. No preaching or scolding. Her look simply said, “I’m so sorry you screwed up and I love you.” The reason this was such an effective parenting tool was because it made it bearable to own up and take responsibility for my actions. In fact, it facilitated the process! Kids typically know when they’ve done something wrong, but, what they often don’t know is how to go about making things right again. Had my grandmother focused on making me feel guilty or ashamed or on punishing me, I might have tried to deny my culpability and protect my fragile ego. It’s very hard to admit, “I’m wrong” when you’re in a corner and people are shouting at you, “you’re wrong.” Instead, what my grandmother did was give me room. She allowed me space to contemplate my actions. After a while I would go to her apologize and we’d talk about it. I would genuinely want to do better. Incidentally, I never once had my old mistakes dredged up and placed before me as evidence of my past failures. This too instilled a sense of trust. Instead of having to hide my mistakes from her, I had an adult I could go to without losing my dignity. I’m not sure if my Grams was aware of her “technique” but I certainly have adopted it years later with my own children. Sometimes my husband mistakes my reaction as no action until he sees the results. When he does he just shakes his head and smiles. So, in honor of my grandmother and all the grandparents out there teaching and loving children unconditionally, I salute you. You deserve to be honored! Zulily Eating Right and Etiquette Event! If you have never heard of Zulily then you are missing out! It's a new online store that offers discounts on top quality brands for moms, babies and kids. We are talking savings of up to 90% off of retail prices. Not only do you save on gas and time schlepping kids to and from the mall but you can find the things you need at rock bottom prices! Golly Gee-pers is so excited to be part of the Zulily Eating Right and Etiquette event this Monday, August 6-9. This is a terrific opportunity if you would like to buy several Table Manners Card games at once to use as party favors for a girl's tea party, Thanksgiving or as stocking stuffers for the kids. You could save a bundle and help make the world a little more polite in the process! What celebrity couple would this gift wrap be for? Hint: They donate an enormous amount of time and resources to help children around the world. Oh, yes she does! Thanks to the popular website http://www.doesmommyloveit.com/ giving the game a try,"Table Manners Cards" receives a thumbs up and by the way so does this handsome little guy! Is this darling or what? Winner of The Birth and Baby Fair Raffle! Congratulations! The winner of our 2012 Birth and Baby Fair Raffle is #16, Jaynny Max. All other entries will receive a 20% discount off the purchase of Table Manners Cards when you buy from our website http://www.gollygee-pers.com/ . It was a pleasure meeting all you new moms, existing moms and beautiful families!